This month is all about gouache! 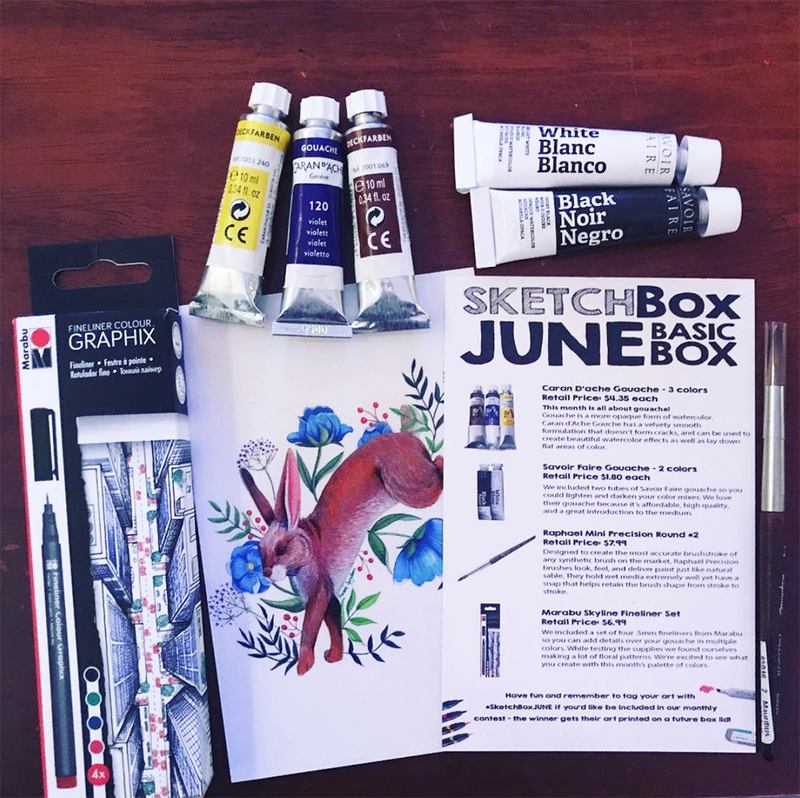 Our June 2018 Basic box includes three Caran D'ache tubes in lemon yellow, violet, and burnt sienna, two tubes of Savoir Faire gouache in black and white, a Maribu Skyline fineliner 4-set, and a Raphael mini precision round brush size 2. Photo by our subscriber @beeg.m12.